Raja Ampat, Indonesia is considered by many as the “Amazon of the Sea”. Over 1,500 species of coral reef fish and over 500 species of hard coral call it home. That means 75% of all hard coral species in the world exist here. Raja Ampat is the most marine bio-diverse region on the planet; however it needs our help. 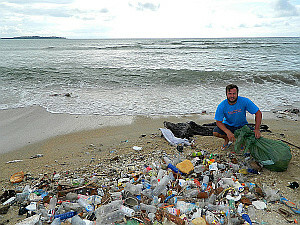 Friendly Drifter was created by concerned individuals who witnessed a need to address the plastic waste issue in Raja Ampat. Plastic waste is extremely hazardous to all marine life. Currently no proper recycling facilities exist in the area, making it difficult for locals to dispose of plastics responsibly. • Creating and maintaining a sustainable waste management system, focused on reducing the consumption of plastics and other harmful waste for Raja Ampat. • Dedicated to protecting the most marine bio-diverse region on the planet. 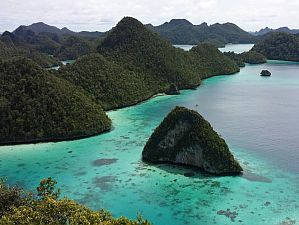 To maintain the nature of Raja Ampat, the environment and its resources. 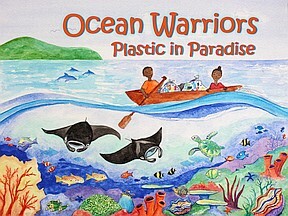 • To educate the local population on the harmful effects that plastic waste has on the environment and the health of the people. 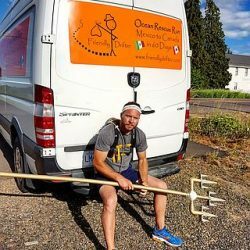 This site contains a history of Friendly Drifter, demonstrates the challenges, and evolution of the cause. Visit the Participation tab to learn how you can help. We invite you to join us in implementing our initiatives. A Raja Ampat, free of plastic debris, protecting the environment and its future. Friendly Drifter is committed to the people of Raja Ampat and the surrounding environment. Our hope is that the government of Raja Ampat and local conservation efforts will support these initiatives.